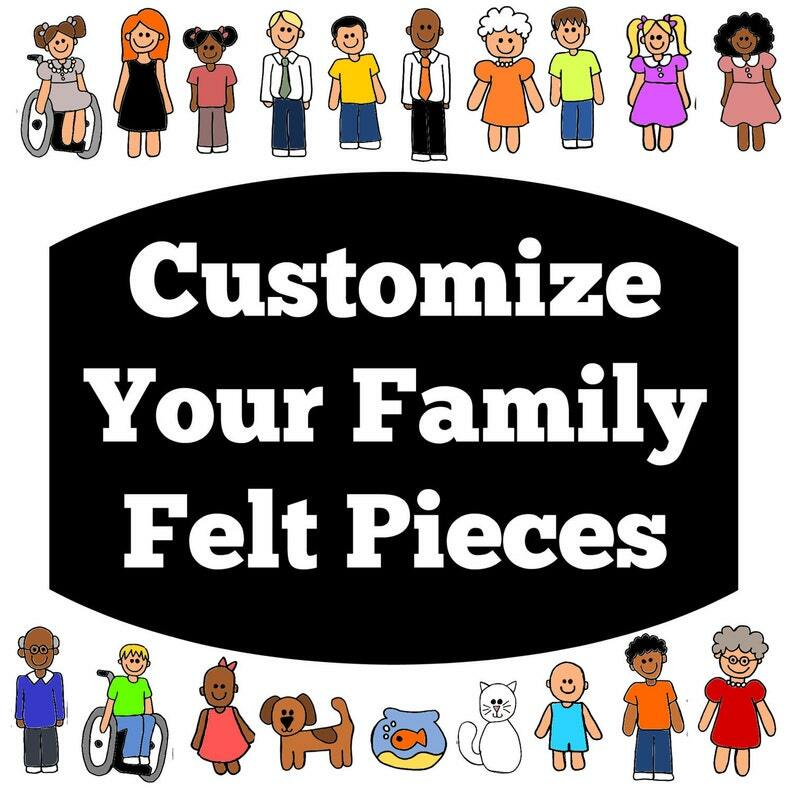 Put together your own family from the 122 choices of characters in this set! (And if you are still not finding something that fits your family, send me a message!) These pieces are made of felt and will stick to felt or flannel. These pieces are great for independent, quiet play or group activities. The family begins with 5 pieces for $6 and is $1 for each additional piece. Please put your choice of sets in a message with your order. When you check out, put the name of the pieces that you would like in the message area. For example: Baby girl 1, Brother 10, Sister 19 and 29, Mom 13, and Dad 11. Turned out great. The seller responded promptly. One of the hair colors looked more red in real life than pictured. But the pieces were great and it was fun to pick out our family. Such cute felt pieces. Thank you ! !